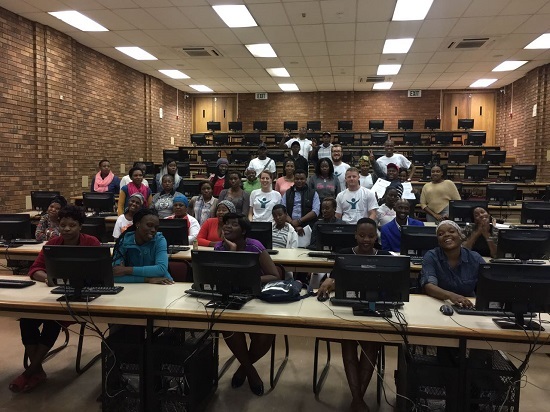 Students enrolled for the Community-based Project Module (JCP) of the Faculty of Engineering, Built Environment and Information Technology taught community members basic skills. The students, Carl Brink, Marissa de Villiers, Thato Molapo and Calvin Rodda indicated afterwards: "JCP was a great learning experience for us. The key skills and we learned from doing the project were time management, teaching, teamwork, working with people, problem-solving, critical thinking and communication. The community project gave us an opportunity to apply our academic knowledge and teach it to other people. We now believe going forward doing community work is utmost importance to a young demographic as it increases a sense of responsibility and “Ubuntu”."